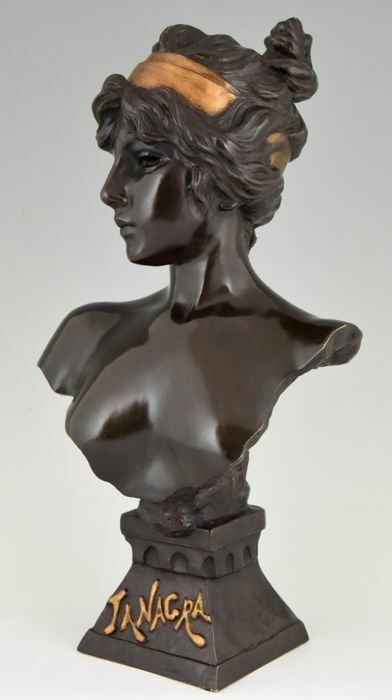 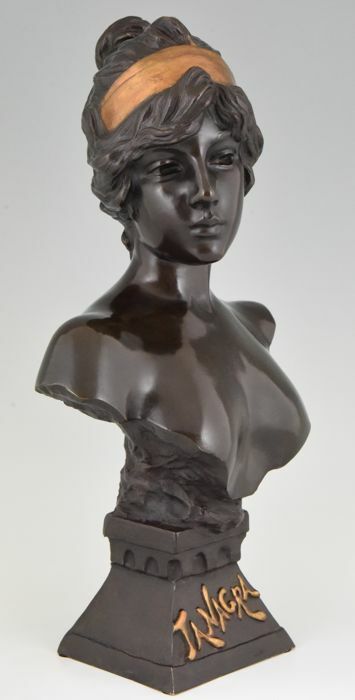 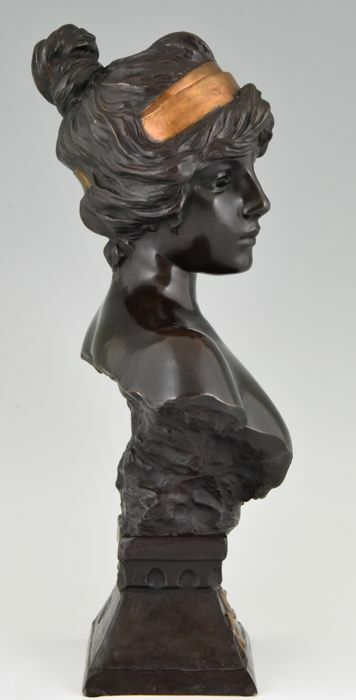 Beautiful bronze Art Nouveau bust of a woman with hair band. 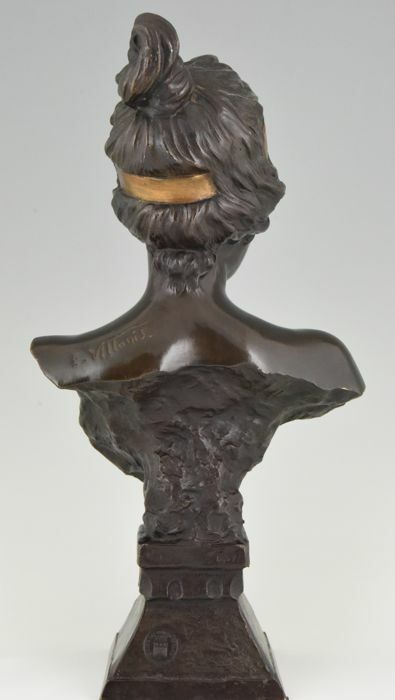 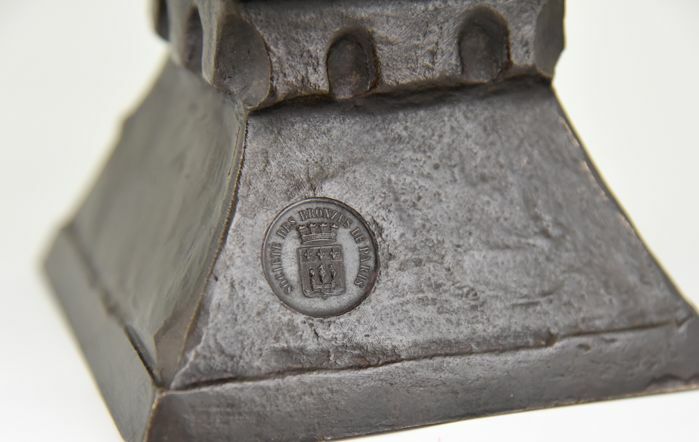 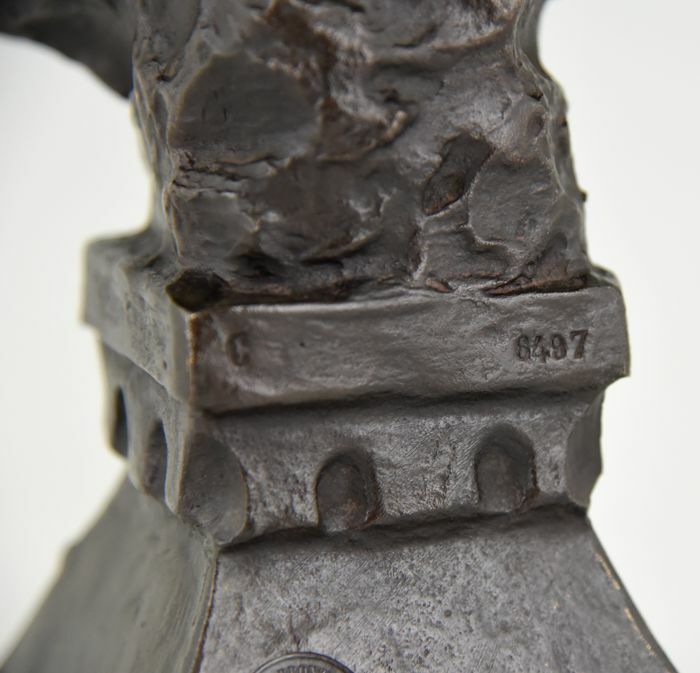 With foundry stamp of the Societé des bronzes de Paris. 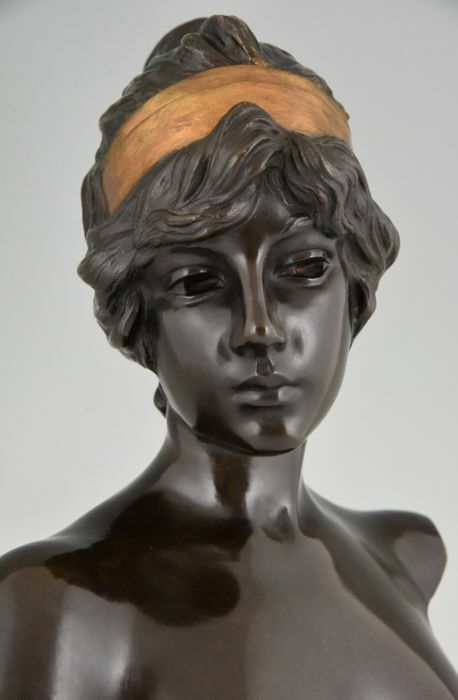 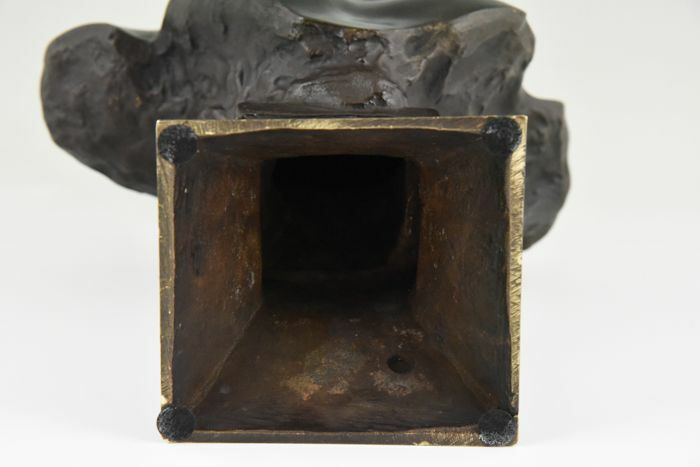 Patinated bronze with gold accents. 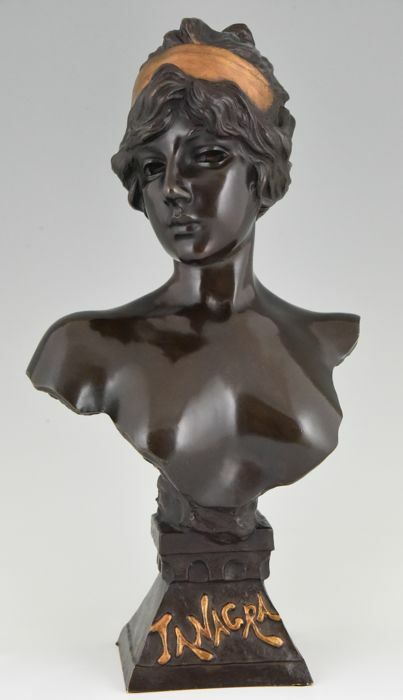 H. 42 cm x L. 22 cm. 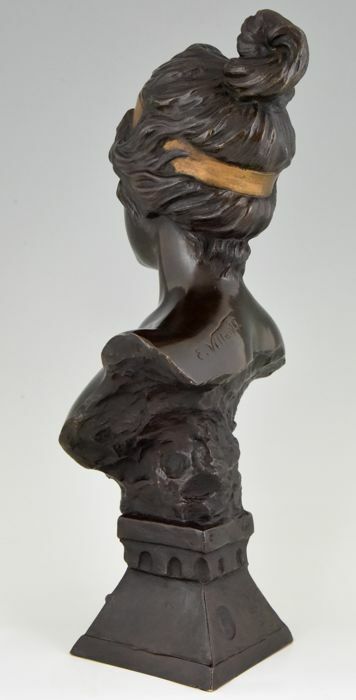 x W. 15 cm. 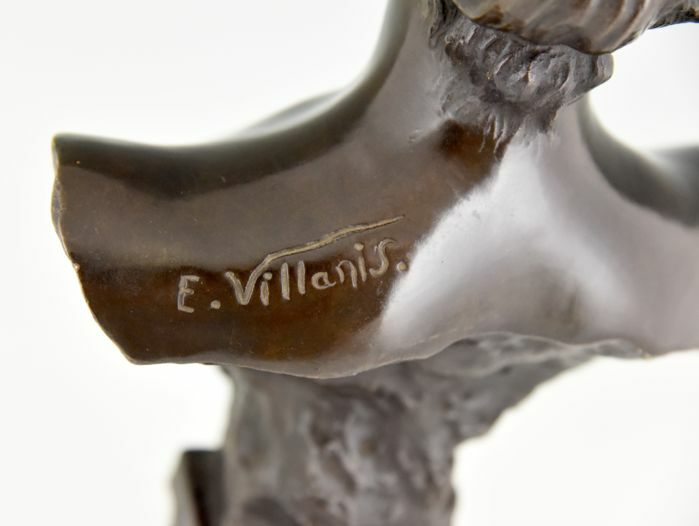 "Emmanuel Villanis" Josje Hortulanus-de Mik and is described in the book "Emmanuel Villanis, un sculpteur art nouveau" Pascal Launay, Thélès.